This vintage print shirt is some piece of work. "FORD COUNTRY! 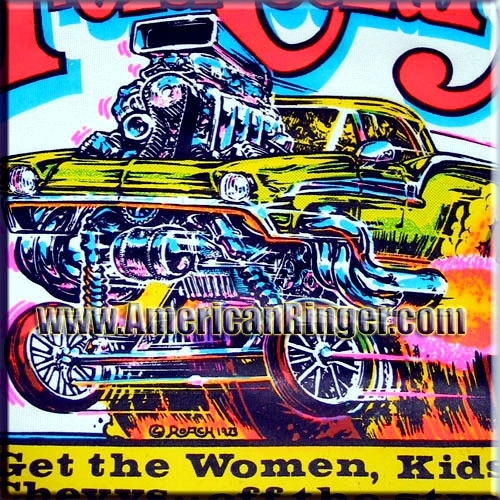 Get the Women, Kids, & Chevys... of the streets!" with a tagline like that you wonder how many horse-ees are under that hood. 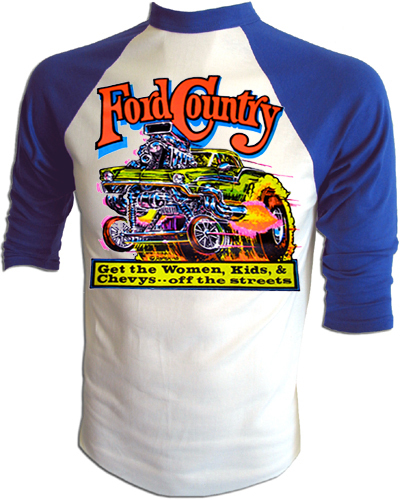 Even if you don't own a Ford muscle car you still need this shirt. A truly rare find that American Ringer has acquired and NOBODY ELSE has! This is the real deal vintage stuff and once they are gone they will be gone forever.